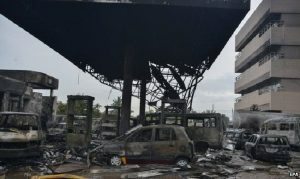 The GOIL Fire disaster on June 3 in Accra influenced the statistics. 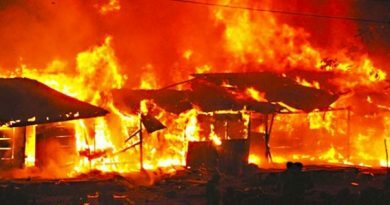 The Ghana National Fire Service (GNFS) has disclosed that a total of 2,707 cases of fire outbreaks nationwide were recorded from January – May this year, with the loss of property estimated at GHȼ10, 244,493. 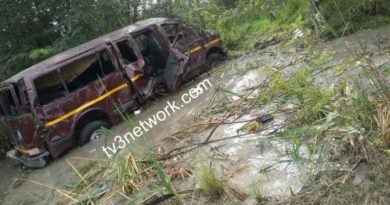 Dr Albert Brown Gaisie, Chief Fire Officer, who made this known in Cape Coast during the opening of a two-day Directors and Regional Fire Officers conference, said the fires also claimed 14 lives. He indicated that the service is only able to conduct fire safety audit into 69 cases out of the total figure including the recent fire and flood incident at the Goil Filling Station in Accra due to limited resources at its disposal. Dr Gaisie observed that a major proportion of the citizenry lack the needed know-how as far as total fire safety is concerned and reiterated his commitment of GNFS to tighten fire safety education campaign to create awareness throughout the country. He stated that there must be a paradigm shift from reactive to more preventive measures so far as fighting fire was concerned. The Chief Fire Officer said the service has so far organised capacity building programmes for 550 fire personnel and called them to constantly upgrade themselves to keep up with modern ways of dealing with fires. Mr. James Agalga, Deputy Minister of the Interior mentioned that Government has provided more than 250 fire tenders, 13 recovery trucks and four mobile services trucks to the GNFS to improve upon efficiency in the service. He said the task of ensuring public safety must not be the sole responsibility of the GNFS and called for a public-private –partnership to ensure absolute public safety in the country. Mr Agalga said the government is delighted with the decision by the fire service to institute legal action against defaulters of the Legislative Instrument (LI 1724) and promised that the Executive would provide all the needed logistics to the body to be able to work effectively. Mr Kenneth Dzirasah, Chairman of GNFS Council noted that though there has been considerable improvement in all aspect of the service, more is needed to be done for the organisation to gain the status that it deserves to match the other security services. A minute of silence was observed in memory of those who lost their lives during the June 3 twin disaster and all those who had lost their lives through such tragedies.